The album cover mimicked the classical music songbooks by G. Schirmer Co.
After an eight year hiatus from the studio (other than Greatest Hits III), Billy came back in 2001 with an album of classical compositions, Fantasies & Delusions. Billy had originally been taught classical piano as a child before discovering rock and roll, so he was returning to his roots in some sense. His father Howard Joel was a classical pianist, his mother a talented singer, and Billy's half-brother, Alexander Joel, is a symphony conductor. I do not know enough about classical music to comment on the album, other than to say this is an enjoyable collection of songs and demonstrates that Billy is truly gifted. I particularly enjoy the last composition, the melodic and melancholy "Air: Dublinesque." Also, the album title and artwork are quite clever, as any classical piano fan or student can tell you, as it mimics the classical music lesson books published by the G. Schirmer Company that are used by so many piano teachers and students. 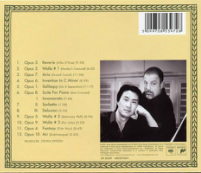 Billy did not play the pieces on this album, rather virtuoso classical pianist Richard Joo (pictured left) played the pieces. Billy's brother Alexander had introduced Billy to Joo. Joo and Joel have performed together on occasion. See Videos tab, above. As early as 1996, Billy had expressed his desire to write classical music like Samuel Barber's mournful "Adagio for Strings," foreshadowing his composition of the classical pieces that later became Fantasies & Delusions. Watch this video in which Billy explains why he was writing classical music at the time, and performs part of the song. You can also hear "Adagio for Strings" here. Even earlier at a Master Class in 1993, Billy told the audience that if he could live and write music in any era it would have been in the late 19th century when great Romantic composers such as Debussy, Ravel, and Satie were writing. Listen to the Masterclass here (beginning at 22:43 and keep listening for the classical piece Billy created and plays). After Fantasies & Delusions fans had hoped that Billy would compose and record more classical compositions or film scores if not pop songs, but the album remains his first and last classical music album. The only other classical pieces he has released are "Nocturne" on 1971's Cold Spring Harbor and "Elegy: The Great Peconic" (performed by members of the London Symphony Orchestra) which is available on My Lives and on Music of Hope. The latter is an album featuring classical and instrumental compositions by Paul McCartney, Billy Joel, Ray Charles, Andre Previn, Tim Janis, Emanuel Ax, Kurt Masur, and others to benefit the American Cancer Society. "Elegy: The Great Peconic" (apparently named after Peconic Bay) is the third part of a never-released 40-minute orchestral suite, The Scrimshaw Pieces, which evokes the history of Long Island. You can read about it in this 1997 New York Times article. Watch Billy discuss the chorus to "This Night" which is from Beethoven's "La Pathetique," from a Q&A session in 1996. 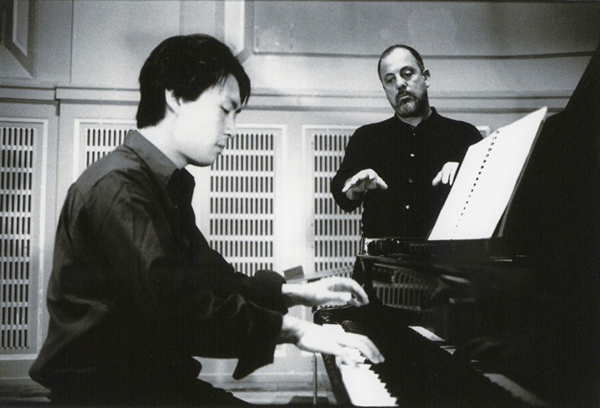 Richard Joo and BIlly Joel during recording sessions for Fantasies & Delusions (2001). Publicity photo. 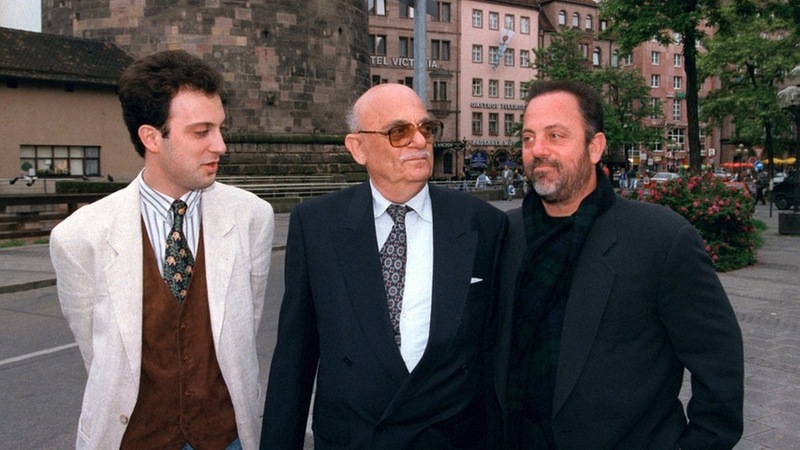 Billy with brother and conductor Alexander Joel (left) and their father Howard (center) in 1995 in Germany. Credit: Bayerischer Rundfunk. Nunley's Carousel (1920s). Credit: CradleofAviation.org. Click on icon in upper left of video to see playlist. Billy and Richard Hyung-Ki Joo discuss the making of "Fantasies & Delusions" (2001). 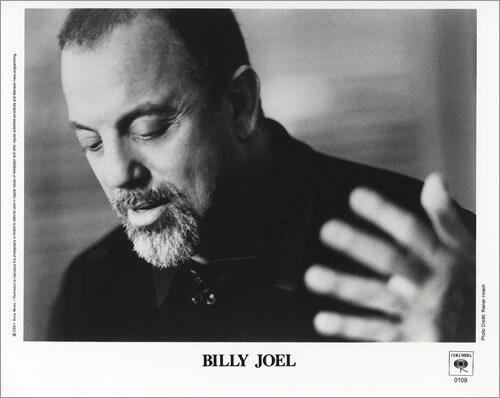 Billy Joel on Charlie Rose (30 minutes) from 2001, just before the Concert for New York City. Billy briefly discusses Fantasies & Delusions from The Complete Albums collection. He explains how he always loved classical music. Billy discusses the music, including the use of chords in classical music in 1999, two years before releasing Fantasies & Delusions. This is from "The Rhythm of Life" a documentary hosted by Beatles producer George Martin. 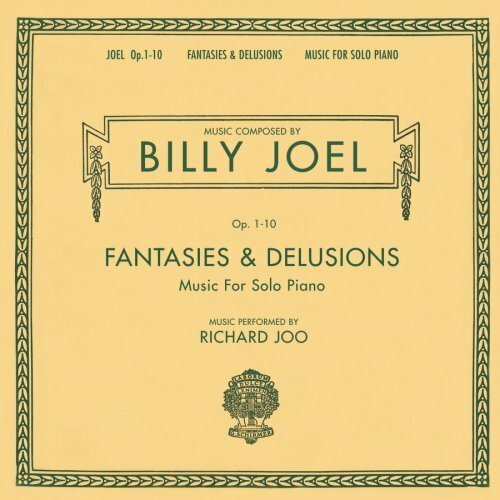 Billy Joel introduces pianist Hyung-Ki (Richard) Joo, who played Billy's classical compositions on Fantasies & Delusions. Joo and Joel play Air (Dublinesque). An interesting cover of Billy's "Invention in C Minor" on electric guitar and bass. "Piano Lessons: Billy Joel Learns His Limits But Expands His Musical Horizons"